Romance as a genre is often misinterpreted. You will find people mistaking it for novels written in the Romantic Age. In fact, historical romance novels are one of the most intriguing, passionate and diverse works of literature. These books delve deep into human emotions and depict the turmoil related to love and companionship. Selecting which romance novel to read can be a difficult choice, especially for those who are new explorers of this genre. Typically, the main plot of a historic romance novel centers around the protagonist falling in love and struggling to make the relationship work. However, the beauty of a gripping romance novel lies in how the writer includes multiple subplots and realism in the work, without losing the focus from the main plot. This book is a passionate love story about Catherine Earnshaw and Heathcliff, a young lad who was adopted by Catherine’s father. The Earnshaw family resides in Wuthering Heights, where Heathcliff is bullied mercilessly by Catherine’s brother. After the demise of Catherine’s father, Heathcliff leaves Wuthering Heights, where he grew up together with the other Earnshaw children. As the story progresses, Heathcliff’s love for Catherine grows intense. However, unfortunately Heathcliff doesn’t realize that Catherine is also deeply in love with him, and he decides to move far away from her. Years pass by, Heathcliff returns to Wuthering Heights as a wealthy and highly refined man. The plot unfolds how he intends to take revenge for the misfortunes he experienced in his childhood. 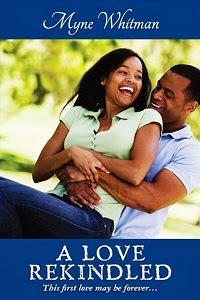 If a timeless and passionate love story is what you are after, then this classic is a must read. The story boasts of vivid descriptions of characters, plot and subplots, and the landscapes. One of the most spectacular classic works of English Literature, this book is a page-turner, with writing that is simply unparalleled. Anna Karenina is a tragic, yet passionate story about a married aristocrat/socialite Anna and her love affair with Count Vronsky. The novel, although titled Anna Karenina, depicts love stories of Anna-Vronsky and Kitty-Levin. The story commences with Anna facing a family crisis caused by her brother’s womanizing nature, where she meets Vronsky. This bachelor Count wishes to marry Anna, if she is willing to part ways with her husband Karenin. As her husband is a senior government official, Anna finds herself trapped in the complications of the Russian societal restrictions. Even after Vronsky and Anna move to Italy to stay together, they find it difficult to mingle with the elite members of the society. They move back to Russia, but Anna still faces isolation and falls prey to anxiety, while Vronsky enjoys a flamboyant social life. The story goes on to depict Anna’s plight when she grows increasingly possessive and paranoid about Vronsky’s alleged adultery. This classic is considered to be one of the best written works of all time. Tolstoy seamlessly incorporates distinct elements in this historical romance, including nihilism, anguish and desire. As a reader, you will find yourself empathizing with Anna and be overwhelmed by the emotional turmoil experienced by the characters. This award-winning novel is about Scarlett O’Hara, the pampered daughter of a plantation owner. The story is set in the era of the American Civil War, and goes on to describe Scarlett’s life experiences, in terms of love, marriage, and her survival. After the iconic event of Sherman’s March to the Sea, Scarlett finds herself struggling to lead a happy life after her husband’s demise. She moves to stay with Melanie, where she meets Rhett Butler, an outspoken young adventurer. Rhett encourages Scarlett to flout the societal restrictions bestowed upon widows. The story proceeds with Scarlett becoming a ruthless businesswoman who wants to reclaim her property in Atlanta. In the process, Rhett loses his love for Scarlett and leaves her. This timeless and passionate love story is a must read for readers who enjoy the classics. The title is taken from a poem by Ernest Dowson, and the story falls into the Bildungsroman or coming-of-age category. What makes this novel even more intriguing is that Mitchell leaves the ending of the book speculative for the reader. In the times of visual art and instant gratification of one’s work, elaborate romance novels still stand strong with a wide readership. Just like in earlier literary eras, even contemporary novelists invest heavily in crafting a remarkable romance story that stirs up emotions among the readers. So, whether you are a reader who enjoys books with contemporary dialogue, repartee, sensuality, historical settings, mystery, or warfare, there’s a romance novel waiting for you!